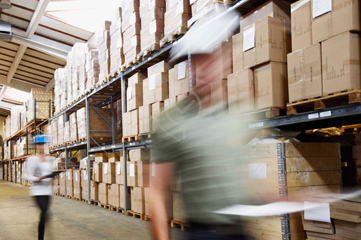 As leaders in distribution and customized warehouse management solutions, DEX significantly improves clients' market advantage by leveraging distribution channels and increasing product speed-to-market. With a more than 99% inventory accuracy rate, DEX supports inbound, outbound, and logistics operations in multi-dimensional environments, including value-added services such as repair, kitting, testing, and cross-docking. DEX's professional service managers have years of industry-tested experience in all areas of logistics management, enabling DEX to effectively provide top-tier inventory accountability. To address growing industry needs, DEX created several types of facilities, including multi-client operations, dedicated stand-alone locations, and DEXPods (self-contained operational units that function in remote locations). DEX's dedicated warehouse facilities around the world use repeatable, documented processes with technologies that optimize labor scheduling and space usage, which provides our clients with the benefits of lower costs. After products arrive in the warehouse, DEX optimizes efficiency through the careful assignment of storage locations. We provide clients with the highest levels of flexibility, customization, and customer service, using strategic logistics planning to postpone unnecessary supply chain activities until client demand is established. Using strategic management and logistics planning within our vast supply chain matrix of suppliers and carriers, we minimize warehousing and storage charges and decrease product turn times. DEX has developed a distinctive barcode-label integration system for inventory and transaction tracking by location, part, and pallet. As product enters the DEX facility, a small barcode label is affixed to the product; this label and client-specified product data, such as serial number, accessory return, physical damage and product comments, are entered into DEX's database and available to clients through OrderVision, DEX's 24/7, real-time visibility system. DEX adheres to all retail labeling compliance requirements. Our Warehouse Management System (WMS) automatically optimizes the location of products in the warehouse, based on activity level. This practice reduces order-picking time and associated labor costs. Additionally, DEX has flexible user-defined and configured location-based storage controls for all inventory types.